Marshall feels plenty comfortable within the wine industry, where he began his 20-plus-year career in fermentation by taking a job at a little winery while he earned his bachelor’s degree in German at Humbolt State University. Marshall spent the next several years alternating between wine and beer in California and Washington, working his way up to master brewer at Pyramid Brewing Company in Seattle. 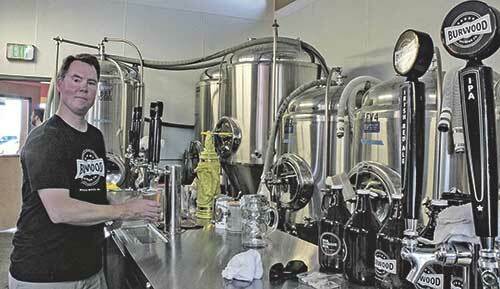 Looking for a more hands-on position and a place to start his own brewery, he found his way to Walla Walla. 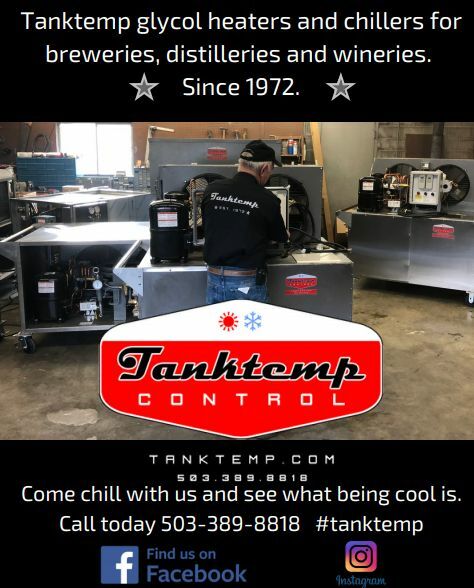 He started working with Long Shadows Winery, eventually becoming their assistant wine maker, and attended the highly-regarded Walla Walla Community College’s Viticulture Program. He also holds a practical brewing and applications certificate from California State University Stanislaus. He knew brewing was what he wanted come back to. He went to Germany to learn more about the beers he loves — Düsseldorf to study altbier and Cologne for Kölsch. “I went there to get an understanding of what those beers taste like from the source, fresh,” he says of the two unique styles. While working at Long Shadows, he started a business plan for his brewery and perfected recipes through homebrewing. “When I started thinking about this project I started thinking about what styles I liked to drink and what would be good in this area,” Marshall says. Of course German beers came to mind, but he also had to cater to his customers. “I like to do as many German styles as I can, but people still like IPA,” he says, which is why Burwood has at least one on tap at all times. A variation of their current IPA was one of Burwood’s first brews. He developed the rest of his recipes on a pilot system. When he opened in 2014 with wife, Jennifer, who is in charge of marketing, it was essentially a nanobrewery, Marshall says. They would hold 100 Pint Nights every Thursday. “We’d open at 4 o’clock with one keg of beer, different every time, and we’d stay open until the keg blew,” he recalls. “We had 11 of them and at all but one or two we went through the whole keg in 45 minutes.” Marshall says that’s when he knew he was on to something. 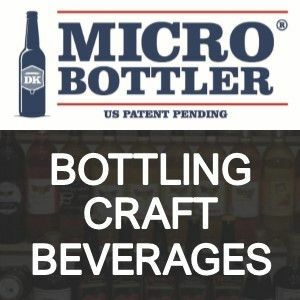 Burwood, named after an early settlement near Marshall’s hometown of Escalon, CA, is located at the Incubators — a group of buildings owned by the Port of Walla Walla that house new craft beverage businesses. The Port gives them a reduced rate on rent, with incremental increases over six years, which is the maximum amount of time they can stay before it’s time for another incubator to take their place. Two wineries and a craft distillery are Burwood’s current neighbors. Burwood has gained a following with locals and tourists alike. Most of their sales come from the tap room, Marshall says, but they also distribute to restaurants and bars throughout Eastern Washington through the Odom Corporation. This year, they’re ready to expand. Burwood will move into a new facility, still under construction a block away, in the next few months. The space will allow them to go from 400 barrels a year to 1,000, with room to grow and add canning or bottling. They’ll also more than double their tap room and have a large patio with views of the surrounding wheat fields and Blue Mountains. Burwood has nine taps that Marshall and assistant brewer Adam Magnoni keep flowing. Current offerings include a pilsner, black beer, pale ale, a West Coast American IPA, a dunkel, Walla Wälsch (a Kölsch style), and a rotating seasonal. They also brew a sugar cane and honey root beer you’ll see kids sipping on in their family-friendly tap room, where an assortment of board games and frequent visits from local food trucks invite guests to linger. They have release parties for all four seasonal beers — for spring, a maibock called Goat Lord, with a nod to bock’s traditional association with goats; a Belgian witbier, spiced with chamomile and coriander for summer; and an Oktoberfest for fall. A traditional winter variation of the altbier, a double alt called Punchy the Elf, is a particular favorite and comes with a visit from Punchy the Elf himself, a family friend they fly in each year for the event. For more information visit burwoodbrewing.com .